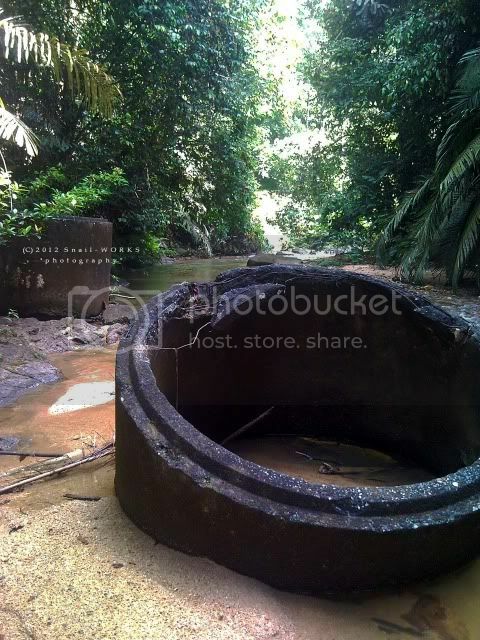 地点 Location Kampung Rambai Tujuh, Sayong, Kuala Kangsar, Perak. N4.68263 E100.99965 (Cabang Dua Cascade). 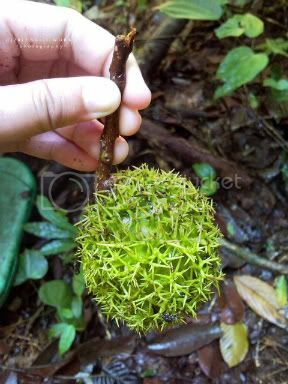 North east (Cabang Dua Cascade). 水池/营区 Pool/Campsite Deep pool, small campsite available. 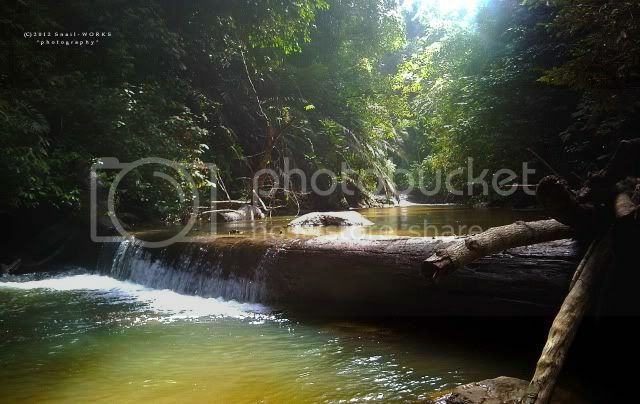 90% river trekking, beware of the slippery rock. 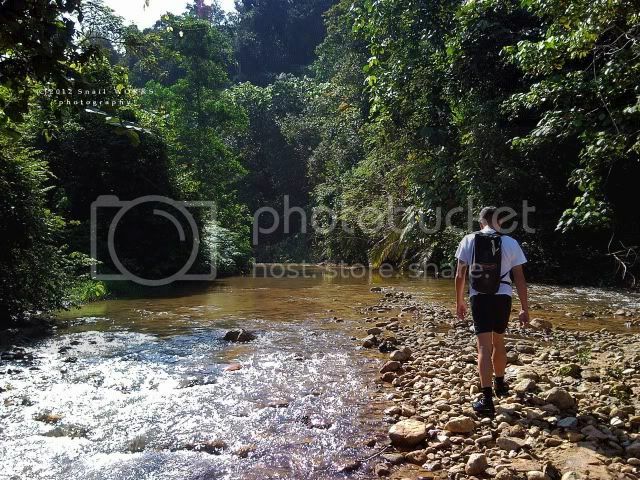 Average 1 hour trekking time from carpark. Still recommend using high chasis car. 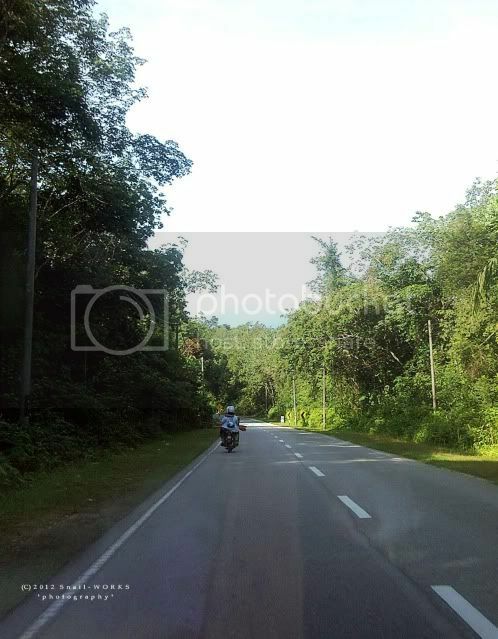 This is a lazy holiday morning, the road no A164 from Kuala Kangsar to Kampung Sayong is just so quiet. 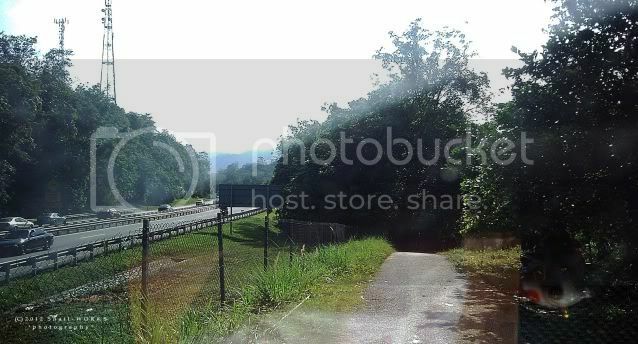 The road is built along the Perak River and crossed the NS highway near the Sungai Perak R&R. 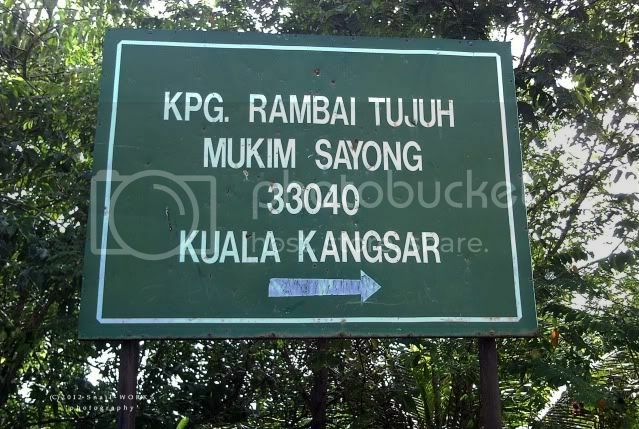 If you come from Kuala Kangsar, the turning to the Kampung Rambai Tujuh on the left is after the Sungai Perak R&R. The road system in the village is abit confusing, you can ask the direction from the villagers. The correct route will bring you cross several steel bridges, 1 of them is with an arch. 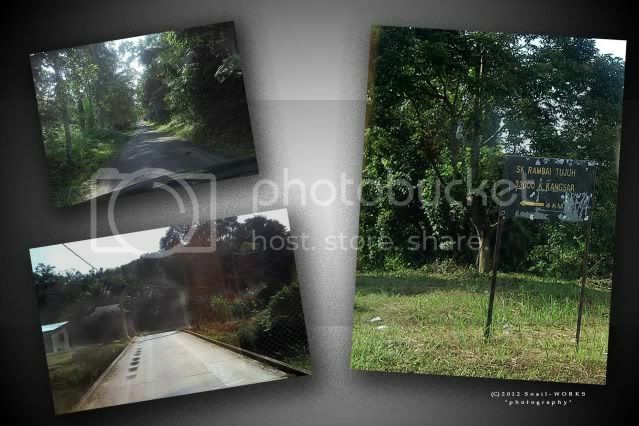 Part of the village tarred road is build along the NS Highway. Here is almost end of the broad tarred road, after that the tarred road became narrower and broken. Only high chasis car (those not afraid to get scratches mark on the car body) or motorbike are recommend to continue the way to the last parking lot. The parking lot near the river side. Now we start our journey on foot. The beginning of the trail is lot of mud pools. Because we are trying to avoid those sticky mud pools, we had to go round of them. 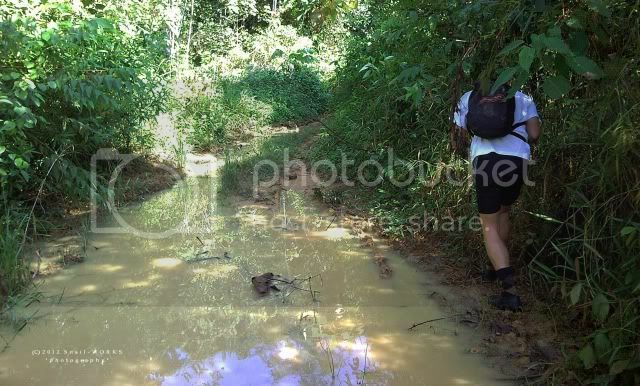 Sometime when we were not careful enough, our shoes were just stucked inside the mud pool. 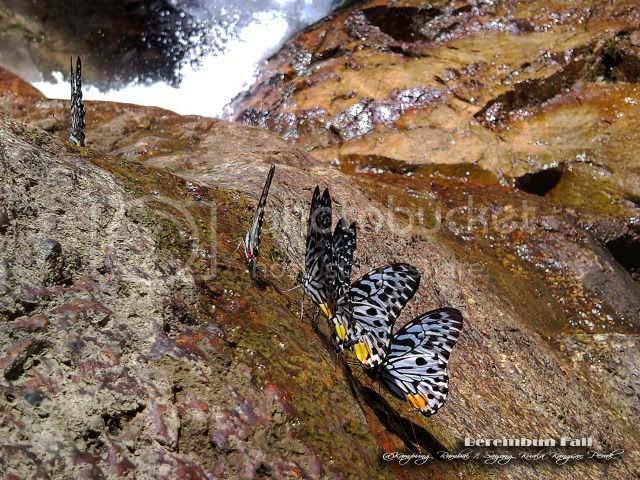 The Menora River where need the river trekking. Time to start our river trekking. Even thought it's looking easy at the begining, but some area is deep overhead. So please trek carefully. Even a fallen trunk can make an attractive cascade. All this are the rubbish left from the NS Highway construction. There are more rubbish stucked at the riverbank which are washed down from the NS highway. 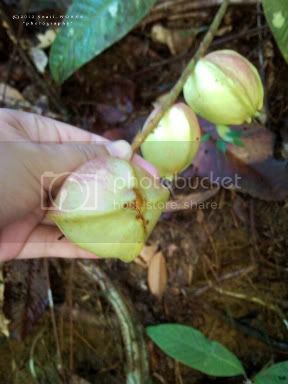 Some strange fruits, do you know what is it? 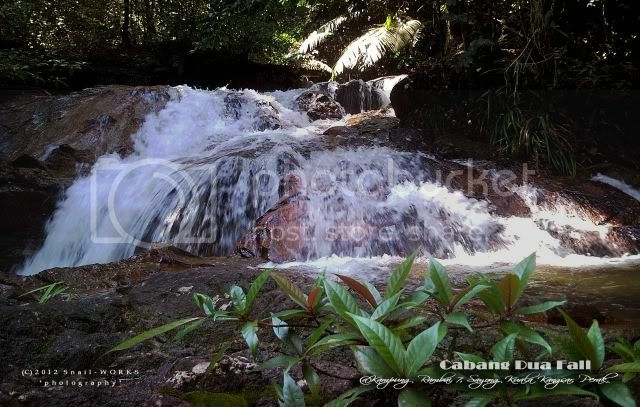 Here we reached the Cabang Dua Cascade. This is the lower tier. 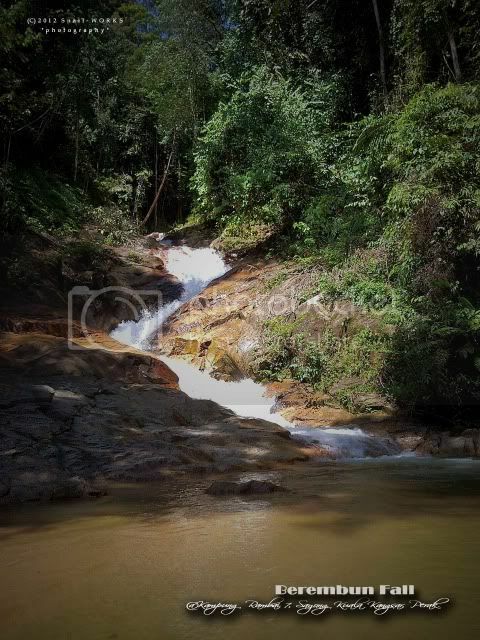 Upper tier of Cabang Dua Cascade. 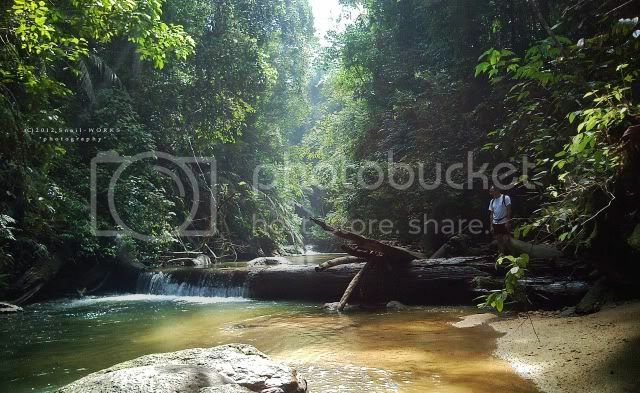 Another 15 mins river trekking, we reached the destination Berembun Fall. 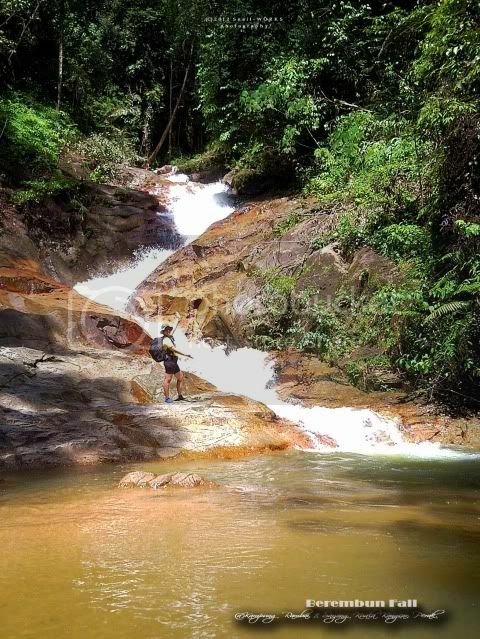 Have you been to the Berembun Fall & Cabang Dua Cascade?